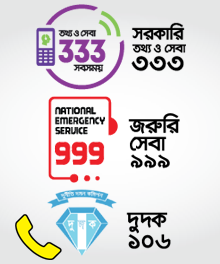 O ইউনিয়ন তথ্য ও সেবা কেন্দ্র কি ? If you want to know the Government circular or any gazette please go to the link "Circular / Gazette" from the main Menu Bar. The website will provide information on the most popular citizen services by GoB, the basic information of the structure of Bangladesh Government and other important information and links.